Why not join me and my sister Caroline, in April for a class in customising your clothing? 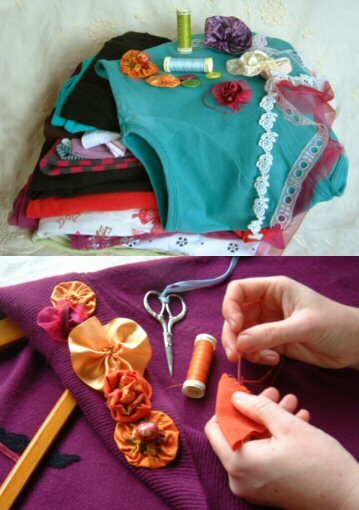 We will show you how to make simple changes to your clothes to turn them into a personal and unique garment! We we also show you how to use left over pieces of fabric, what you can do with clothes that don't fit as well as looking at other items such cushions, bags, scarves and rugs. And it's not just for the girls; guys bring along your shirts, ties, waistcoats and scarves and we can transform those too! So join us for two days of fun and creativity. Our fist class is being held at the Royal School of Needlework, based a Hampton Court Palace, Surrey on 19th and 20th April 2011. Visit here for more details and to book.